Whenever a television show comes to an end, especially after running for five years, it’s usually a big deal for those involved. Next week, ABC will air the final episode of "Alias", and while the series has been on a bit of rocky ground this past year, it’s going out with a bang. (In some aspects, quite literally!) Composer Michael Giacchino has been writing music for the show for the past five years, and while his protege Chris Tilton has been providing additional music for much of this last season, he returned to fully score the final hour of the two-part series finale. 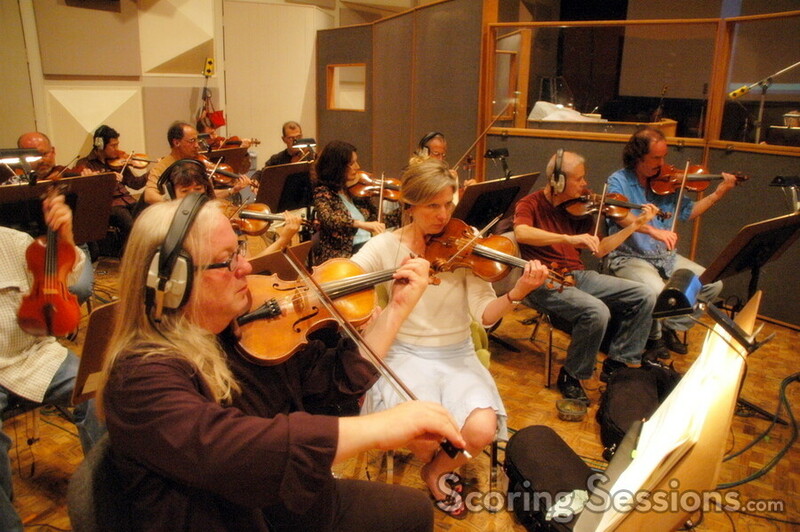 The first part was scored last week at the Eastwood Scoring Stage at Warner Brothers, with Jennifer Hammond conducting a 37-piece orchestra. 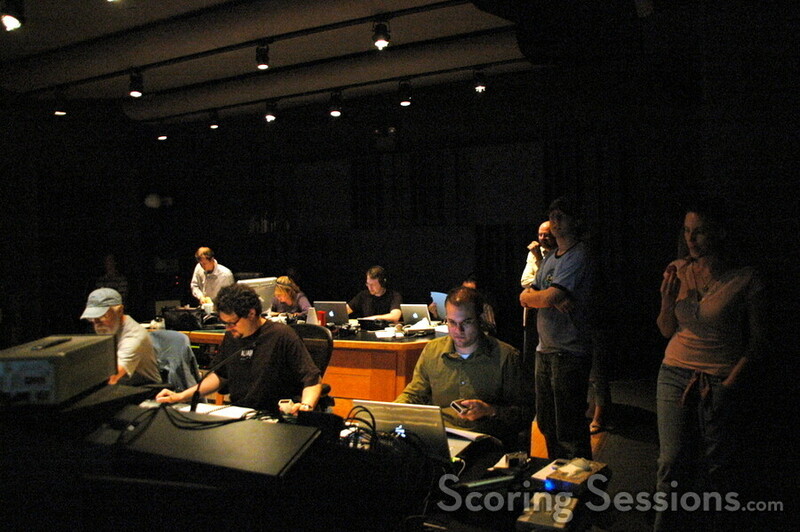 For all intents and purposes, it was handled like most of the previous "Alias" scoring sessions. 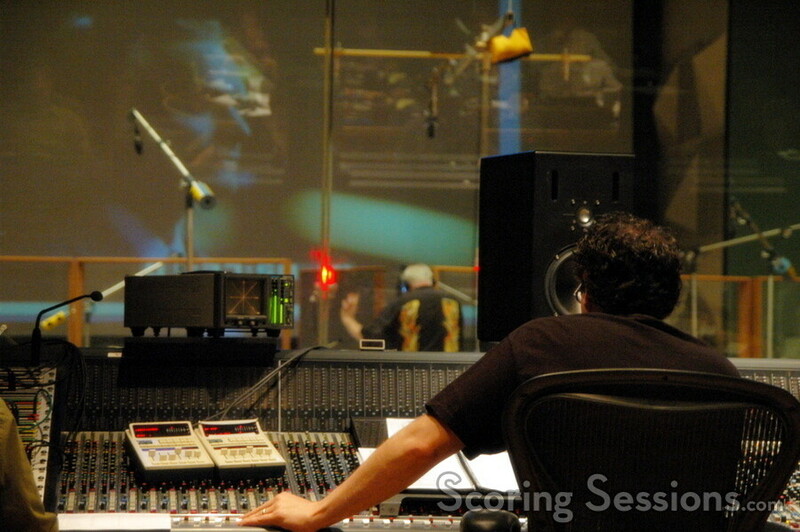 There were five cues to record – including two cues that ran over eight-minutes long, each! 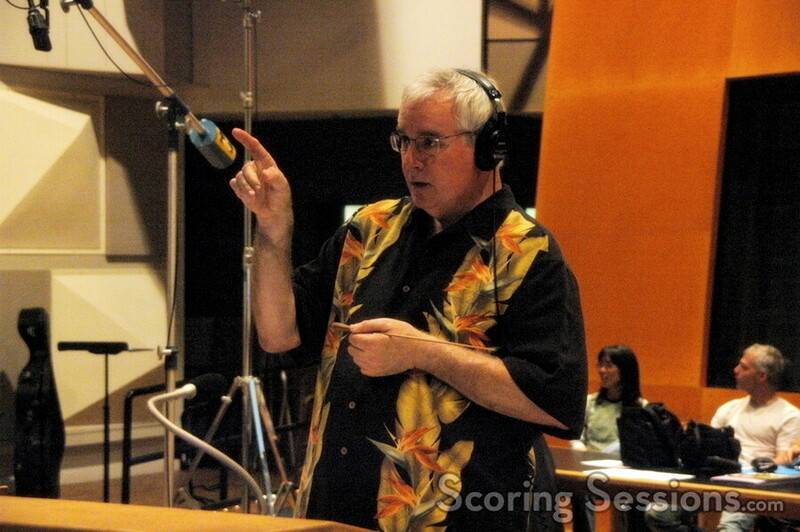 Chris Tilton wrote additional music for "Alias"
Giacchino wasn’t there – he was busy working on an episode of "Lost" – so Tilton ran the session, with Touchstone Television music executive Steve Morgan keeping an eye on things, including the time. They only had two hours to get it all done, and managed to squeeze it all in. 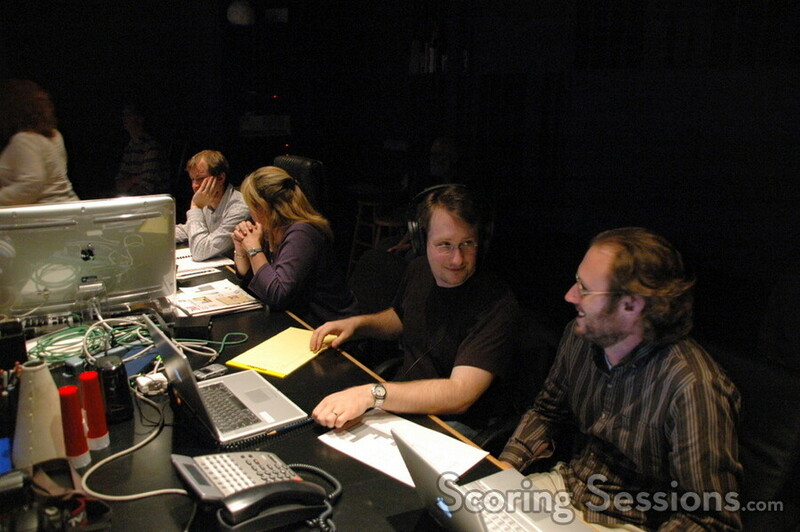 For the second part of the finale, 37-minutes of score were required (for a 42-minute long episode). 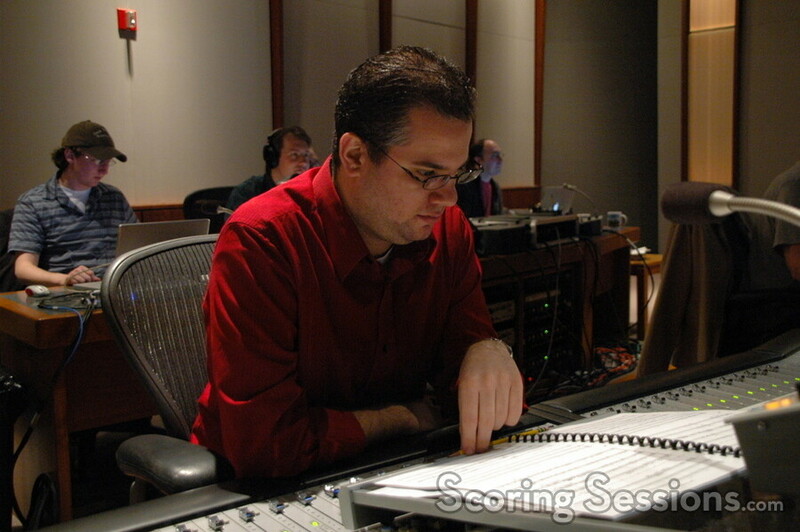 Giacchino had only a few days to write the music once the episode arrived, and he dove right in. With a lot of things happening (and wrapping up) in the episode, fans of the music from the show will be pleased to hear a lot of thematic material returning. 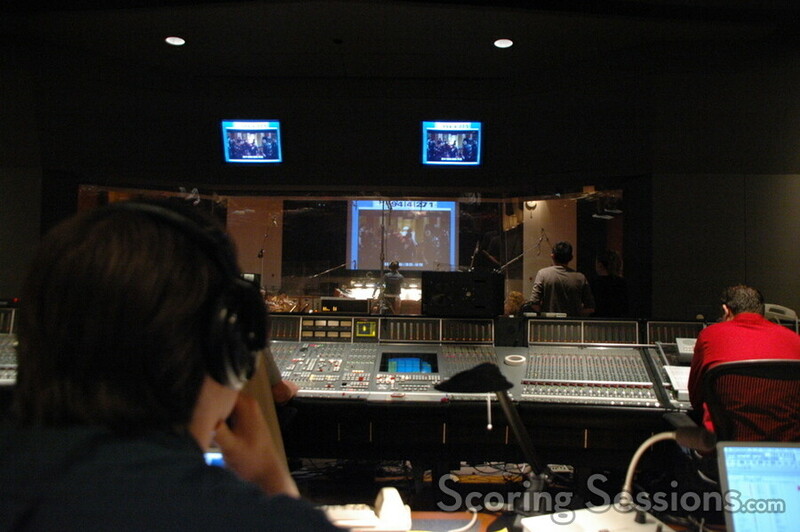 The last hour of the show was recorded at Paramount’s Stage M, which is where the first episode of "Alias" had been scored. Giacchino addressed the larger orchestra (53-pieces) before they began, and read a "thank-you" letter from author/actress Sara Vowell, who had conducted a cue when visiting the sessions in the past. 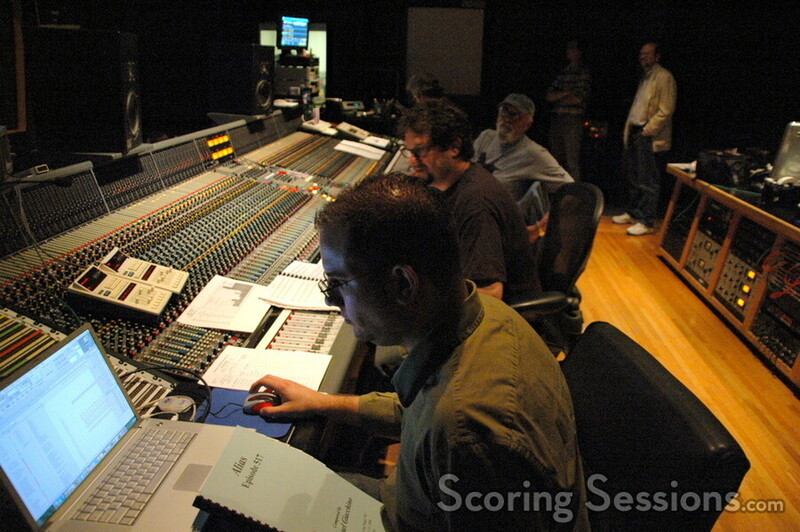 The first cue tackled was a monstrosity of a cue, running 210 bars, which encompasses the climax of the finale. It took the better part of the whole first hour to get through the piece, which means they would have to hustle through the rest. Victor Lawrence and Dermot Mulroney play cello on "Alias"
Actor Dermot Mulroney, who starred in The Family Stone (also scored by Giacchino) and played cello on Mission: Impossible III, showed up, and played on the final episode. In addition to a few other guests, "Alias" actors Rachel Nichols ("Rachel Gibson") and Kevin Weisman ("Marshall Flinkman") attended the session, to lend their support. 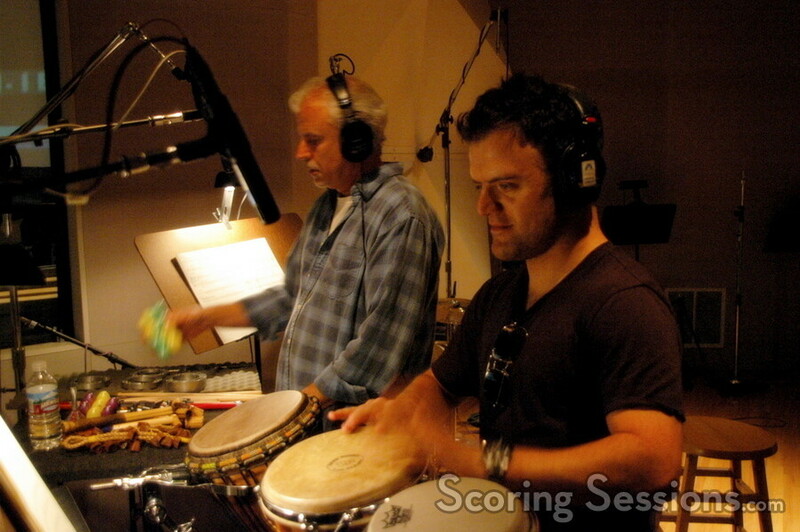 When it was learned that Weisman plays drums, he was tasked with playing the bongos on a cue, much to his delight. 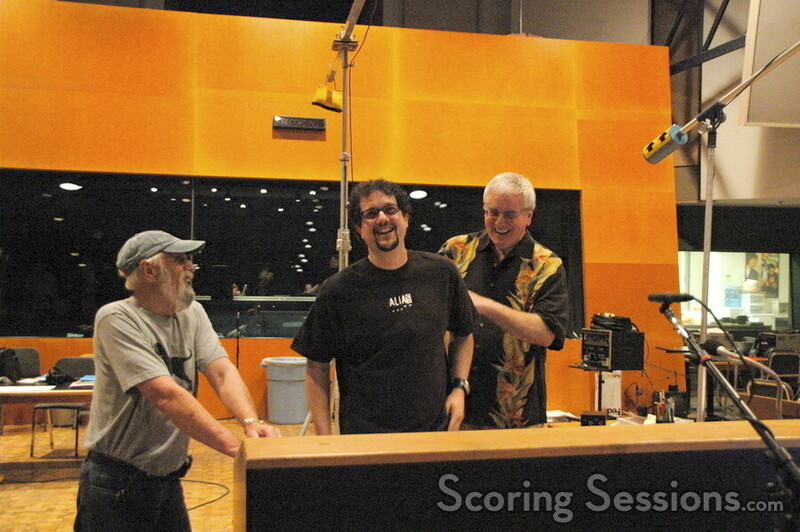 In the end, the session ran for four hours, and when it was all done, Giacchino came out to thank the orchestra for their hard work, and invited them to celebrate with cake and champagne. 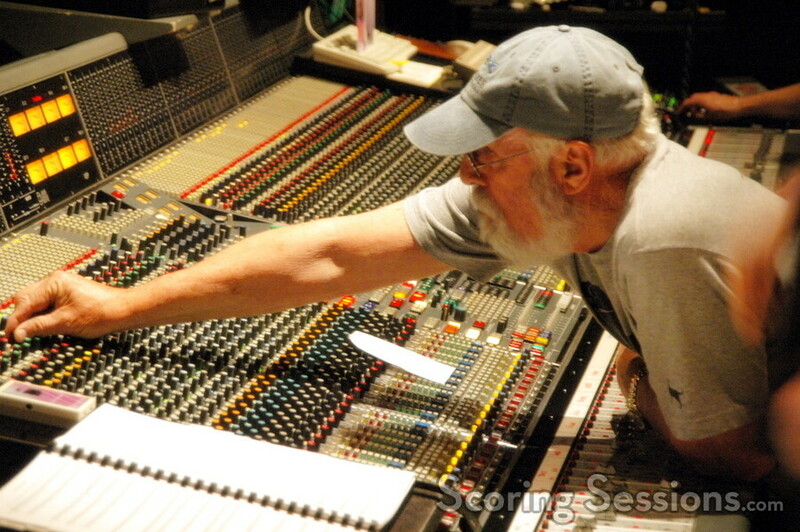 Over the course of the 5-year run, "Alias" had 1,440 cues recorded, with a total of 46-hours and 10-minutes of score. Currently there are only two albums released with music from the first two seasons, and it remains to be seen if any other albums will be forthcoming. The 2-hour series finale for "Alias" will air on Monday, May 22, 2006 at 9pm. 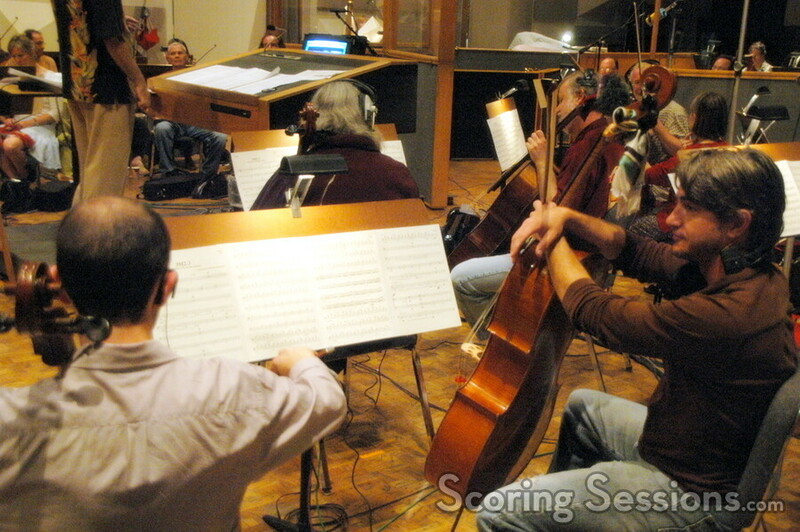 View a short video from the scoring session! 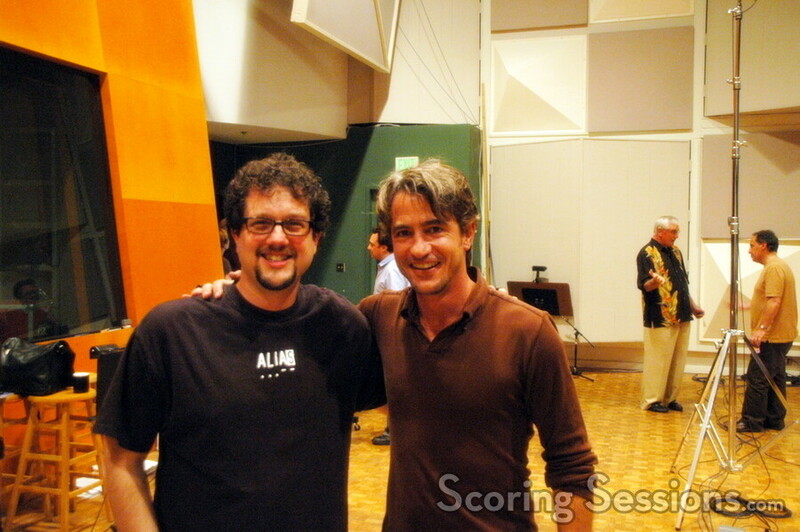 Special thanks to Michael Giacchino and Chris Tilton.